David Ashby is a 3D artist and graphic designer based in Bristol, England. 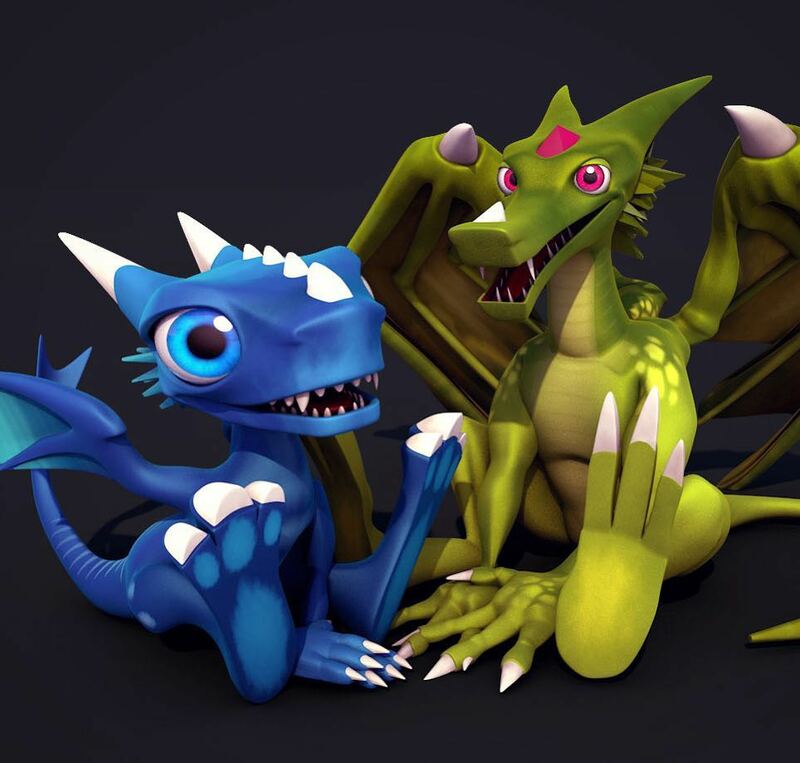 Active and creative, David has created two fantastic characters called Lynks and Razor, which he puts in situation through short animated films that last from 10 to 30 seconds. Besides to 3D animation, David also uses virtual reality to create funny stories about his characters. What offers a wide range of possibilities to create new situations and for the viewer. Knowing that this technique is not well known in the animation of characters intended for popular entertainment. David creates products derived from his characters. He draws them in 2D and prints them in 3D in the form of statuettes. As a good storyteller, David tells us the story of the birth of his characters and his Instagram experience. A long time ago you may have seen the 3-minute short film I made featuring Lynks (the green one), getting slapped around in classic ‘Wile E Coyote’ style animation. The plan back then was to do more animated shorts, to bring to life my comic book characters/universe I’ve had planned for over a decade. However, that length of animation just takes way too much time to create and for a very little payoff. So Lynks was paused for a while. Until recently (thanks to a friend), I decided to start creating 10-30 sec animations of Lynks and his crazy antics, and post them to Instagram, creating a feed of mini stories. The plan was to find a more manageable way bring my comic book characters to life and the feedback from my followers has been incredible, which makes me finally believe I’ve found the right outlet for this! Just by putting little Lynks into various scenarios, you start to get a sense of his personality and over time it naturally builds the bigger picture of his world as I add new characters and scenarios. So far I’ve managed to post a new short about once a week and now have over 25 3D animations in the bag as well as a brand new character (Razor in blue). Razor, who shares the name of my old pet bearded dragon who was named after this guy, not the other way around! Razor and to a larger extent Lynks are 2 characters from my comic book series Afterdark. I actually have many more characters that no one has actually seen yet in production. My inspiration stems from the need to bring the world from my comic series to life. Lynks and Razor have been great for showing me people are interested in the work I do. I recently started making short 10-20 sec animations on Instagram. Which was a much more manageable size of the project. Compare to large short films or entire comic issue, with almost instant feedback from followers. It’s nice to make something and see people’s interest. My first animated short for Lynks (on youtube), was over 3 minutes long and took several months to develop. And to be honest, the end result wasn’t my best work and it got very little feedback. Instagram, however, is a more natural place to post weekly animations and hear what folks think. All my animations use a mix of Cinema4D and Adobe After Effects. That’s basically it for my animations unless I’m doing some real-world augmented videos. I only really use my camera phone for that. As I think it adds to the realism of capturing footage at the moment. Rather than over super polished DSLR camera footage. I would hope I inspire others to create their own ideas, no matter how unrealistic the hurdles may seem. I’ve had plenty of people say why put so much time into it? Well, if you enjoy it and there’s a possibility that one day your idea/artwork will be a success, then just go for it! Sometimes making small successes do more for you than one giant one. If nothing else you’ll get more practice at what you do, ending in better results.